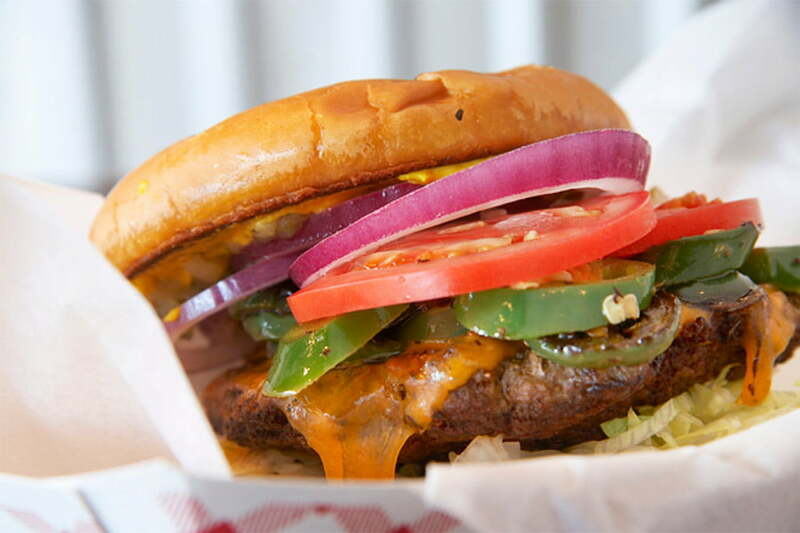 Change is the only constant, food trends happen, but the hamburger abides. From the first time that a person flattened a meatball and put it in between two pieces of bread, the hamburger has satisfied. Quick to cook and fast to eat, the hamburger is easily portable and energy dense. It delivers a blast of pure macro-nutrient goodness with each bite. Protein, carbs, fats, boom! Hamburger is good food when it is made with wholesome ingredients and not eaten to excess. Good, simple meat with a little salt and flavoursome herbs made into a sensible meal portion just makes sense. Hamburger is not good food when it is made with bad ingredients and eaten in large, unnecessary quantities. Preservatives, too much sodium, too much fat, colourings, flavourings, stabilisers, modifiers and ammonium-washed over-processed meat are examples of bad ingredients. Maybe because it is so easy and convenient to get a burger from a fast-food restaurant, most people do not make their own burgers at home. Even when we do make our own burgers, we usually buy pre-made patties from the supermarket and hope that the ingredients inside the perfectly round, plastically packed, uniformly thin patties are tasty and non-bad. 450g beef mincemeat. Choose mincemeat that is about 85% red and 15% white. The white part is fat and you really do want enough of it to give your burgers the juice that keeps the punters coming back. Too much though and your patties will shrink too much whilst cooking and they will be greasy. Too little and you will have dry burgers which will need more sauce than you should eat in one meal. One egg yolk. Free range eggs taste better. Half an onion. Diced small, unless you like to know that you are crunching into onion when you bite down. Half a cup of fresh herbs. Chop them fine or chop them coarse, your call. Salt and Pepper. Use as little salt as you can get away with, because if you add anything else to your burger besides bun and patty, chances are that there will be lots of other sodium in your meal. These are simple ingredients because burger patties just taste better when they are simple. Let your condiments and other burger components do any flavour acrobatics that you might want, but keep the patty simple juicy meat. In a large bowl, mix together the ingredients. For best results, use your bare, cold hands and really get into it. For some reason, the burgers will taste better if you spend some time to mix everything at a granular level. Form into 6 patties. Cover the patties and place in the fridge for 15-30 minutes to cool. This chilling effect makes the patties easier to work with when you cook. Preheat your pan or barbecue or whatever you are going to use to cook your patties. Use high heat but don’t let your oil smoke. Cook the patties for 5 minutes per side on the hot grill, or until well done. Serve on buns with your favourite condiments. Check our database to see nutrition information for home-made burgers compared to the ones from fast-food restaurants.